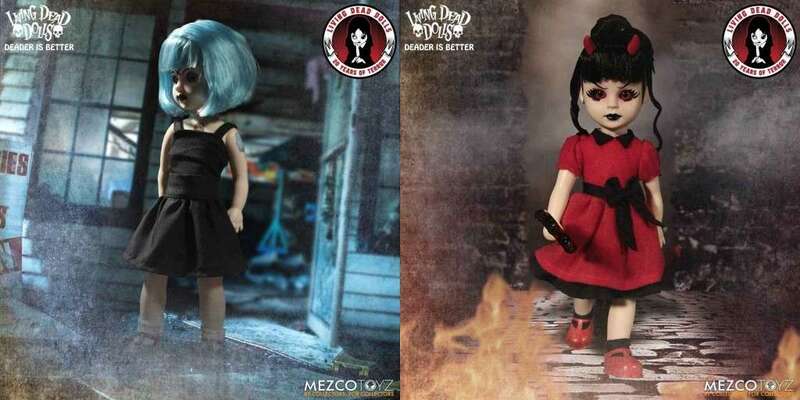 Mezco Toys celebrates 20 years of Living Dead Dolls and introduces this 20th Anniversary Series Mystery Collection. 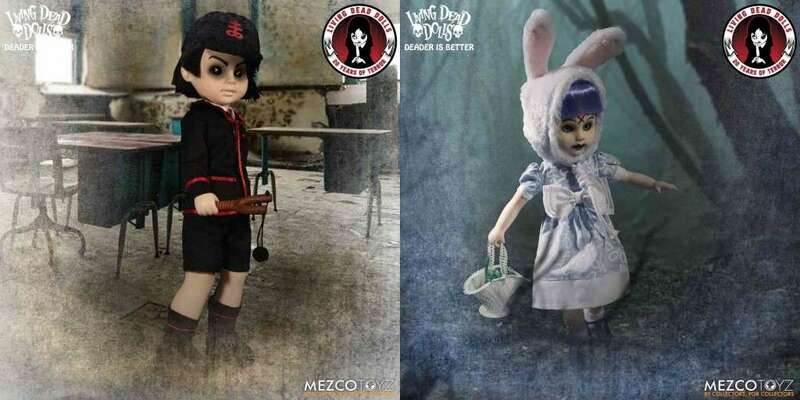 This year, the Mezco Toyz Living Dead Dolls are celebrating 20 Years of Terror and to commemorate this momentous occasion, Mezco Toyz have blown the lid off the mystery of the 20th Anniversary Series. Each doll was an extra mystery doll in the 20th Anniversary Series and now is your chance to own the full set of mystery dolls as a complete set. Originally packed in mysterious closed coffins, they have been opened to unearth the five fan-favorites, and to also introduce a new sixth doll that's a variant of Candy Rotten. Plus Candy Rotten who is a new additional mystery doll now featuring blue hair and an ode to the early days of handmade Living Dead Dolls. Each Living Dead Doll stands at 10” tall, has five points of articulation and features real cloth clothing, glass-like eyes and is packed in their own coffin with a personalized death certificate. 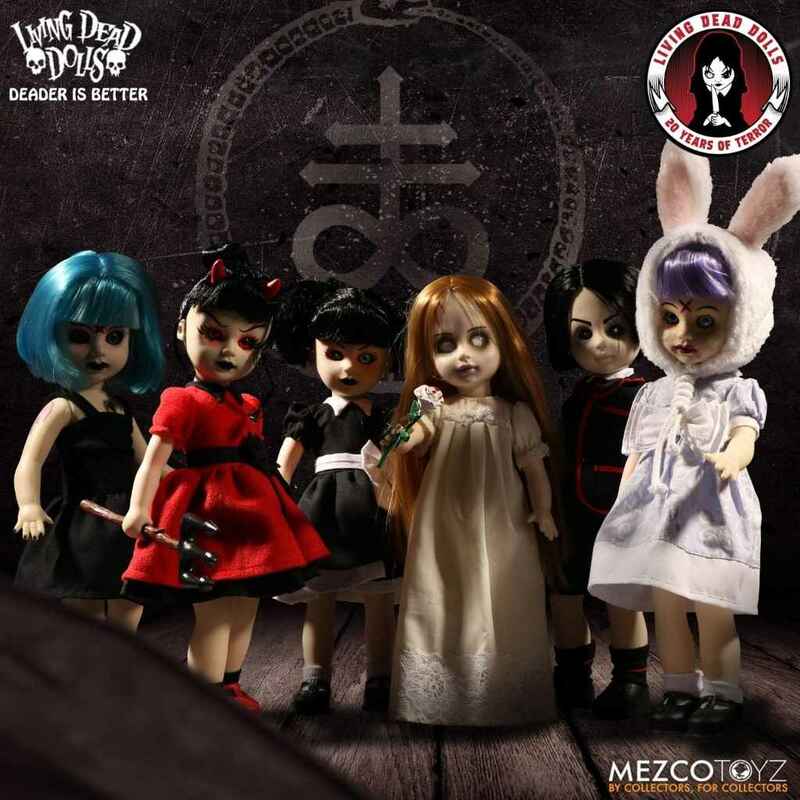 The perfect collectible set for all fans of Living Dead Dolls.